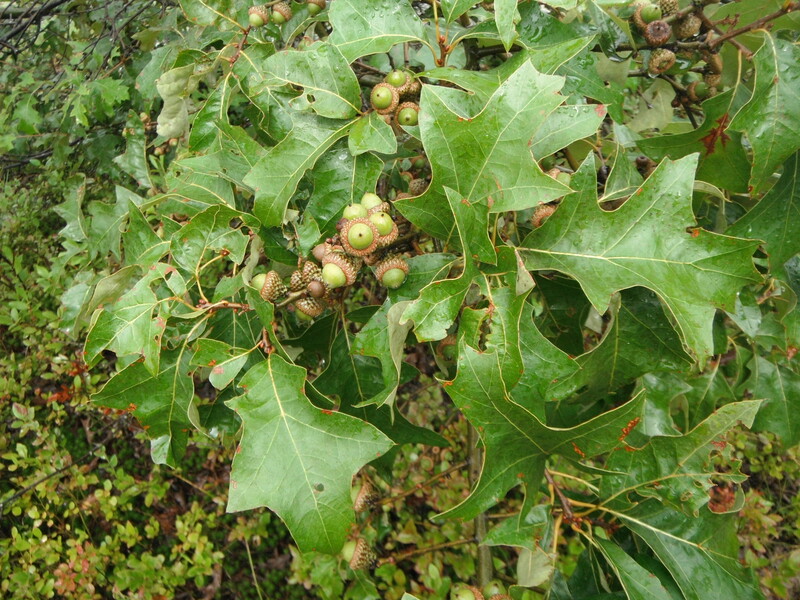 Quercus ilicifolia is a shrub to 5 m tall; red oak group, rather densely branched, often shrubby, bark becoming dark, winter buds blunt. Leaves small, to 10 cm long, lobes 5, pointed, upper lobes often with small lobes or toothed, bristle-tipped, finely hairy below, stalk to 3 cm long. Flowers monoecious. Males in catkins. Fruit acorns 1-2 cm , cup deeply saucer-shaped, covers about 1/3 of acorn, scales large, relatively few, closely appressed. Habitat: On dry, rocky or sandy soil. Characteristic of pine barrens scrub.